Infants are Capable of Sleeping for Long Periods by 3 Months of Age Using infrared video cameras to make overnight recordings of 101 London infants, researchers at the University of London found that “Infants are capable of resettling themselves back to sleep by three months of age.” Three-month olds fed solely breast milk were as likely to self-resettle or have long sleep bouts as infants that were fed formula or mixed breast and formula milk. Watch video of a baby settling themselves here (fair warning this delightful video could make you sleepy!) and read more about the study here. Study Finds Emotional Support From Grandparents has a Protective Effect Against Childhood Obesity A new study from Sweden published in the journal Pediatric Obesity has shown that the effects of social support from grandparents could help alleviate stress in parents, allowing them to make better food choices for their small children. Learn more here. Study Shows Infant Brain Development Occurs Years Much Earlier Than Previously Thought The ability to visually categorize objects, using the right hemisphere of the brain, including the way we perceive faces, is an ability that has been thought to develop as we learn to read. This study from the University of Louvain published in the journal eLife shows that this ability is already highly evolved in babies as young as four months. Find the full study here. Let’s Stop Squandering America’s Future! Looking for an excellent summer read? This one is hot off the press today! 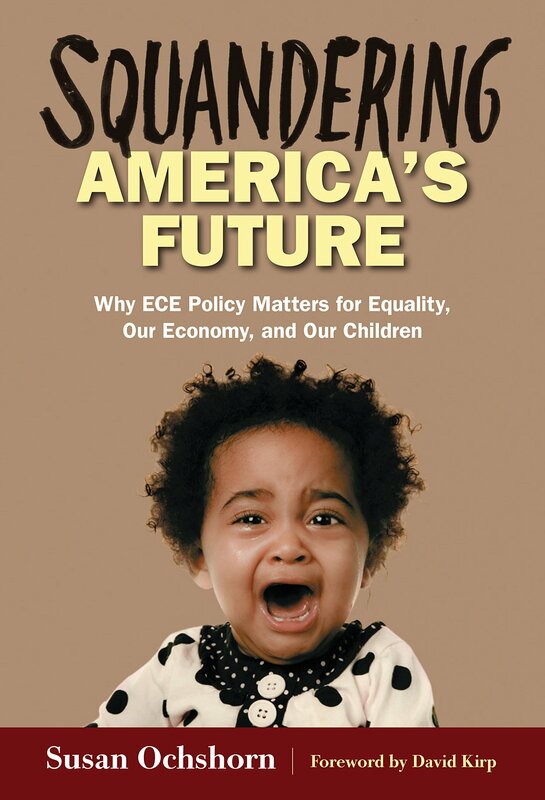 In her new book, Squandering America’s Future – Why ECE Policy Matters for Equality, Our Economy, and Our Children, Susan Ochshorn offers a pioneering guide to the big issues in contemporary early childhood policy. Written in a lively, personal style, the book drives home the importance of the earliest years for developing human capital—the nation’s future. 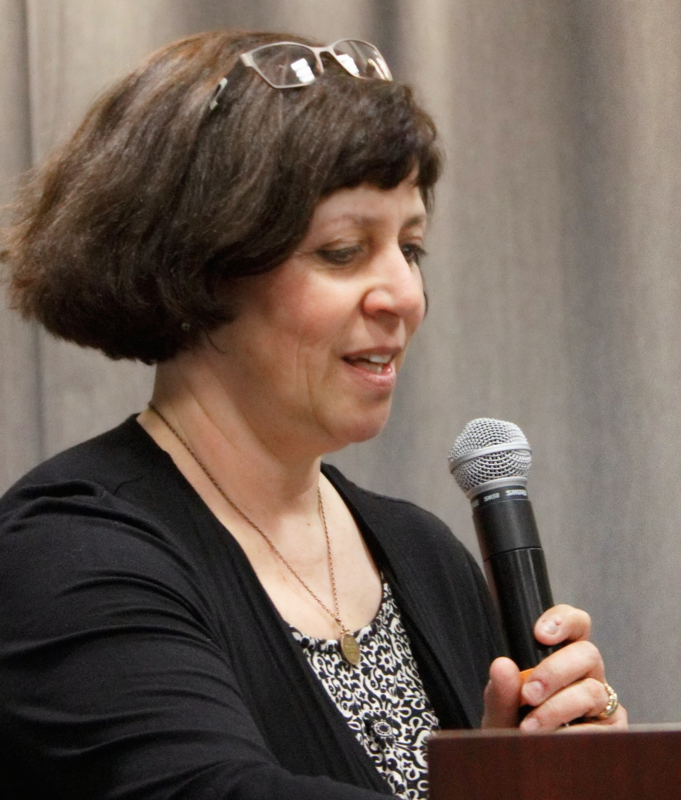 Susan Ochshorn is the founder of the consulting firm ECE PolicyWorks. 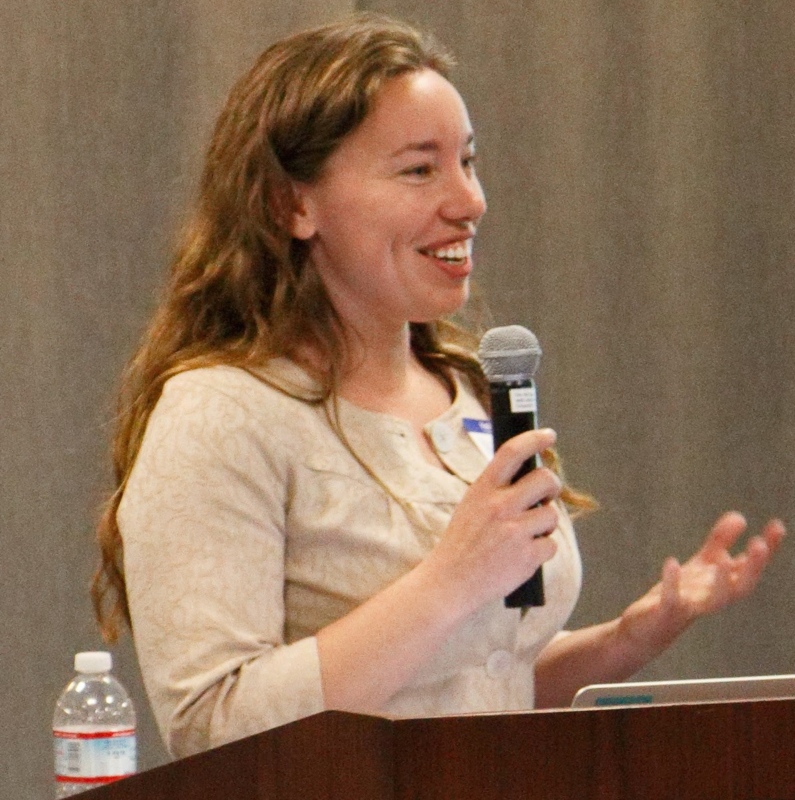 A former journalist, Ochshorn blogs at the Huffington Post and ECE Policy Matters, the go-to place for early childhood teachers, those who train them, and the decision makers who determine their professional course. For more information about Susan Ochshorn or Squandering America’s Future, please visit: www.ecepolicyworks.com. Finally, if reading Squandering America’s Future gives you ideas for furthering the For Our Babies movement, please contact us at followus@forourbabies.org. We’d love to hear from you! Study Shows Significant Decline in Free Formula Packs Given To New Moms Breastfeeding has a multitude of health benefits for both baby and mom which is why the American Academy of Pediatrics recommends that mothers exclusively breastfeed their babies for the first six months of life. Advocates have long complained that the practice of giving away formula to new moms in hospital discharge packs discourages breastfeeding and therefore is at least partly to blame for the low numbers of U.S. babies (19%) who are exclusively breastfed at 6 months of age. A recent study shows a big decline between 2007 and 2013 in distribution of formula in hospital discharge packs which is considered good news by advocates for breastfeeding. Read more here. Early Experiences and the Development of the Stress Response System Research out of the University of Washington finds that children’s early environments have a lasting impact on their responses to stress later in life, and that the negative effects of deprived early environments can be reduced — but only if intervention happens before 24 months. The study focused on children who spend the first years of their lives in Romanian orphanages and others who were removed from orphanages and placed in foster care. It is believed to be the first study to identify a sensitive period during early life when children’s stress response systems are particularly likely to be impacted by their caregiving environments. “The early environment has a very strong impact on how the stress response system in the body develops,” said lead author Katie McLaughlin, a UW assistant professor of psychology. “But even kids exposed to a very extreme negative environment who are placed into a supportive family can overcome those effects in the long term.” Read more about the study here. Smoking Around Toddlers Negatively Impacts Their Health Researchers at the University of Montreal and its affiliated CHU Sainte Justine Research Centre have found that children whose parents smoked when they were toddlers are likely to have a wider waist and a higher BMI by the time they are 10 years old, which has potential serious long-lasting effects. Their findings emphasize the importance of public health initiatives and parental smoking sensitization aimed at reducing exposure to secondhand smoke during the critical early years of development. Click here read more about the study. Antibiotic use in Infants is Strongly Related to Adulthood Illness A recent University of Minnesota study suggests that because antibiotics alter infant gut bacteria, including bacteria that enables the growth of allergen-fighting immune cells and microbiota that determines our vulnerability to a number of infectious diseases, when given in infancy they make us more vulnerable to adulthood illness. Antibiotics account for about 25% of all childhood medications and around 30% of those prescriptions are thought to be unnecessary. “We think these findings help develop a roadmap for future research to determine the health consequences of antibiotic use and for recommendations for prescribing them,” said the study’s lead author, Dr. Dan Knights. Read about it here. Research Shows Pregnant Women Not Consuming Sufficient Quantity of Omega-3 A source of Omega 3 fatty acids is required during pregnancy for fetal and placental development and during lactation. Omega 3 is critical for the development of the infant and in particular, for brain development. Implications of the Canadian study also suggest that a supplement source of Omega 3 should extend beyond pregnancy. Find the complete study here. Sleep Apnea During Pregnancy Is Not Good For Mother or Baby Researchers at the University of Western Ontario in Canada have found that the oxygen deprivation that occurs during sleep apnea in a pregnant woman may affect the baby and could make the baby prone to metabolic disease as an adult, including Type 2 diabetes. Full story. Babies Feel Pain Similar to Adults Yet 60% Not Given Pain Medication for Surgery A pioneering brain scanning study from Oxford University’s Department of Pediatrics has shown that the brains of babies ‘light up’ in a very similar way to adults when exposed to the same painful stimulus. 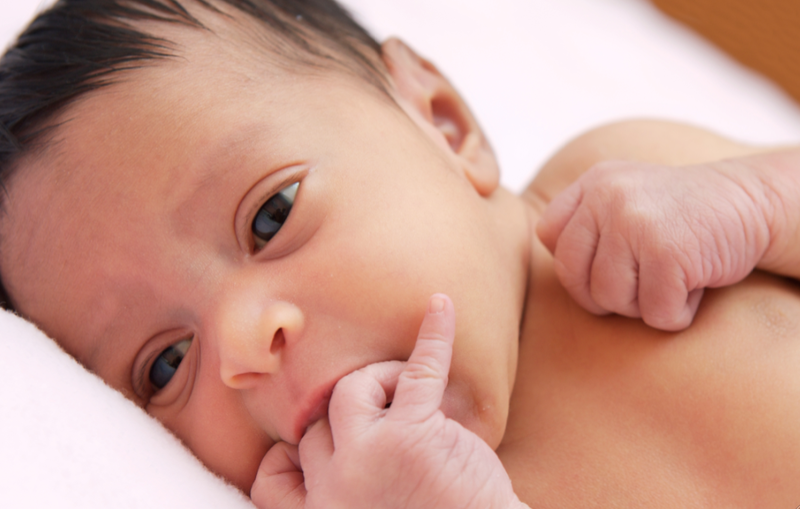 This study suggests that infants experience pain in much the same way that adults do. It has been common practice in the past to not administer pain medication to infants during surgery and many infants today still do not receive medication for pain. “Our study suggests that not only do babies experience pain but they may be more sensitive to it than adults. We have to think that if we would provide pain relief for an older child undergoing a procedure then we should look at giving pain relief to an infant undergoing a similar procedure”, Said lead author of the report, Dr. Rebeccah Slater. Read about the study here. Babies Learn More From the Element of Surprise Recent research from two cognitive psychologist researchers at Johns Hopkins University’s Krieger School of Arts and Sciences show babies learned more from something that surprised them rather than fulfilling their expectation and they wanted to learn more about it. Read the full story here. This News Roundup is co-authored by Jean Kurnik, M.A. The newly formed South Bay Early Childhood Educator Organization (SBECEO) increases the dialogue around how we can strengthen society through the early learning lens. What follows is the story of how SBECEO started and their plans to continue creating positive change through reflection, advocacy, and networking. It is written by the organization founders, Debbie Carey and Nichole Baumgart, two early childhood educators who work with infants and toddlers in San Francisco’s South Bay. Our early beginnings arose from a small group of educators who came together in July 2014 to share thinking and questions centered upon Ron Lally’s book For Our Babies: Ending the Invisible Neglect of America’s Babies. Educators started to ask questions of what they were noticing in their own practices, public policies, and parenting experiences. The evening dialogue lent itself to a shared skype discussion with Ron himself. After being inspired by Ron’s suggestions that night, more educators started to share their greater work in the community and networks were formed. At the same time, some educators from the For Our Babies Book Club were actively pursuing bringing reflective gathering opportunities for educators in the South Bay through their partnership with Mills College. This reflective stance was already happening at Mills College and a few graduated educators wanted to bring a similar version down to the South Bay. Through the mentorship of a Mills College Professor Julie Nicholson, the group was able to begin their reflective offering to the community, out of which many local organizations, early learning community professionals, and colleges have participated. So, this group was united together and dyadically influenced by efforts of the For Our Babies book club group and Mills College’s reflective leadership stance to their broader Alumnus. Ultimately, a south bay organization made up of educators took hold and the South Bay Early Childhood Educator Organization was born. The group is a grassroots organization committed and empowered to the betterment of early childhood education and early childhood educator outcomes through reflective practices, advocacy, and awareness. The hope with our work is to invite a diverse group of leaders consisting of early educators and professionals, policy members, families, healthcare professionals, and other community members to think deeply about the issues that matter to our South Bay Community. 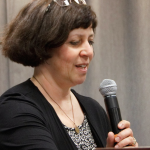 Dr. Kelley Abrams, developmental psychologist and an internationally known expert in attachment. Julie Nicholson, Ph.D, Associate Professor of Practice in the School of Education at Mills College and directs the Center for Play Research. Jenya Cassidy, statewide Director of the California Work & Family Coalition. Julie Weatherston, Senior Program Associate with the Center for Child and Family Studies at WestEd and Communications Director for WestEd’s For Our Babies campaign. Audience members gained information on their employment rights, ways they can further support their community/families to create a stronger, healthier, and more innovative children for our future. Topics discussed included the value of play & strong social relationships, impacts that fiscal stress has on families, and the larger social outcomes to healthy families. SBECEO envisions more conversations like the Raising of America screening event where a diverse group of leaders consisting of early educators and professionals, policy members, families, health care professionals, and other community members come together to think deeply about the issues that matter to our early learning outcomes within early learning community. If you live in the South Bay area, we encourage you to join us in our efforts. If you live elsewhere we encourage you to start a similar organization in your area and let us know about what you’re doing so we can share ideas and resources. Together we can make a difference! Please visit South Bay Early Childhood Educators Organization to learn more about the group and future events. Wonder why we launched the For Our Babies campaign? Check out “A Call to Action on Behalf of Babies” in WestEd’s R & D Alert, for answers. The United States is the only industrialized nation in the world without a paid-leave policy for parents at or around the birth of a child. Prenatal care in the United States remains expensive, while virtually all other industrialized countries provide free or affordable prenatal care. And, while families in the U.S. pay about 80 percent of the direct cost of child care services, parents in European countries pay about 30 percent. WestEd’s J. Ronald Lally says we can—and must—do better. “The United States needs to become much more strategic and farsighted in the way it supports its children during their critical first few years of life,” says Lally, Co-Director of the WestEd Center for Child & Family Studies. This reality is why Lally and his colleagues launched For Our Babies, a national initiative to promote healthy development in U.S. children from conception to age three. Download this free article in WestEd’s R& D newsletter, to learn more about For Our Babies and how brain research shows that a healthy, nurturing, and engaging first three years of life are critical to babies’ brain development, which supports success in school and life. Want to help build a brighter beginning for our babies? Our website includes ways you can get involved with For Our Babies. You can also like us on Facebook and follow us on Twitter! 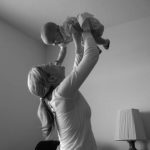 Guest Blog written by Kelley Abrams, Ph.D.
Over the first few months of life, babies form a close, special relationship with one or a few selected caregivers. This special relationship is called attachment. The attachment relationship evolved through natural selection to keep infants safe from harm. Babies use their attachment figures as a secure base from which to explore and learn about the world. This first attachment relationship serves as a model for all future social relationships and can have profound effects on a child’s developing sense of self and social-emotional competence. Babies are born “wired” for connection and relationships. They prefer human stimuli— face, touch, voice, and smell over everything else. How very young children are cared for teaches them how to interact with the world and greatly influences who they will become. Despite our best intentions, however, not all parents are able to accurately, appropriately, and sensitively respond to their infant’s cues, behaviors, and emotions. For some parents, difficult childhood experiences of their own may shape the way they respond to their own babies—misreading cues and behavior and tending to either over or under respond. For other parents, current life stressors (such as trauma, poverty, depression) present obstacles to responding sensitively to their infants. Babies and children require emotionally connected –trusted—and caring adults in their lives in order to grow, develop and thrive. Our communities and systems can and should help support parents. Parents under stress cannot optimally connect and support their children’s emotional development. Over time through their first relationships and experiences with caregivers, babies develop a sense of themselves in relationships with others. For those who have been responded to sensitively, they develop a secure, confident sense of self. Feelings of insecurity in relationships can develop when babies experience inconsistent, disrupted, interfering, and/ or rejecting care. These trusting relationships foster the social and emotional skills necessary for school readiness—confidence, persistence, self-regulation, problem-solving, attentiveness, and ability to form relationships—that lay the foundation for lifelong learning, productivity, and emotional well-being. It takes time and consistency with a responsive caregiver for babies to develop this sense of security in relationships. In fact, it is not until 6 or 7 months that the attachment relationship is fully formed with babies crying and reaching for, clinging to, and approaching trusted caregivers and not other adults. When parents don’t have the time to care for their infants because of demands to return to work and infants don’t have consistent care because of inadequate or rotating childcare staffing, the consequences can be severe and long-lasting. As a child development and parenting consultant, many of the families that I work with come to me because their 2, 3, and 4 year olds are having problems socially and in preschool—feeling worried and anxious, shy and timid, or being overly aggressive and disruptive. In short, problems are arising with their emotional-regulation capacities. Nationally we know that around 12% of 2 and 3 year olds experience social and emotional difficulties that hinder their functioning at home and in school (Zero To Three). Parents and children need more time together. Children seek out their primary caregivers when they feel worried or ill. If parents are unable to be with their children during these times, then the children’s stress increases-furthering risk to their physical and emotional health. The pillars of the For Our Babies campaign of paid leave for parents for the first 9 months of their child’s life and quality infant/toddler care along with better and more comprehensive prenatal and well baby care are crucial policy needs to support parents and children. Without these community and national systems of care, cycles of stress and emotional incompetence will be perpetuated across generations leaving all our families more vulnerable. 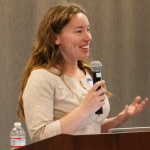 Kelley Abrams, Ph.D. is a Developmental Psychologist and Graduate Fellow with Zero to Three. She works as a consultant to families, schools, and organizations to support the healthy social and emotional development of all children. More information about her services, workshops, publications, and trainings can be found at www.kelleyabrams.com. Many of California’s Smallest Babies Are Not Being Referred For Necessary Follow-up Care A new study by researchers at the Stanford School of Medicine, the California Prenatal Quality Care Collaborative, and the California Department of Health Care Services has found that 20% of very-low-birth-weight babies born in California during 2010 and 2011, were not referred to the state’s high-risk infant follow-up program. This is significant because premature babies and all babies who weigh less than 3.3 pounds at birth are at risk for neurological and developmental problems in childhood. 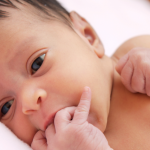 “If we cannot succeed in that first step of getting these babies referred to follow-up, we’re at a critical disconnect for what we can offer them as they grow and develop,” said Susan Hintz, MD, lead author of the study. Find out more about the study here. A study out of the University of Waterloo emphasizes the need for babies with an inhibited or shy temperament to have a strong bond with their parents in order to prevent anxiety disorders in teenage years. This seems to be particularly true for boys, though further research is needed. “The most important message from this study is that competent responsive parents who form a secure relationship with their young children, can be an extremely important protective factor in their child’s development,” said Professor Henderson, co-author of the study. She also notes, “Anxiety disorders are among the most common psychiatric problems seen in children and adolescents. We can use this information about early influences to help change the developmental pathways of at-risk children before clinically-significant problems emerge.” More information about this study can be found here. A research team at Henry Ford Hospital in Detroit reported numerous factors influence the makeup of bacteria in the digestive system, which then alters the immune system and changes susceptibility to allergies. “The research is telling us that exposure to a higher and more diverse burden of environmental bacteria and specific patterns of gut bacteria appear to boost the immune system’s protection against allergies and asthma,” says lead investigator Christine Cole Johnson, chair of the public health sciences department at Henry Ford. To read more about their findings, including the fact that breast-fed babies were less likely to develop allergies to pets at the age of 1 month, click here. A recent study has concluded that the omega 3 fatty acids found in fish oil may protect the developing brain of a fetus from potential toxic effects of mercury in pregnant women who eat a lot of fish. The authors of the study warn that pregnant women should continue to avoid fish that are known to have high levels of mercury (for example, shark, swordfish, and king mackerel). Mercury exposure causes toxicity because it induces oxidation in the human body, which often results in inflammation. The authors of the study concluded that omega 3s found in fish oil are more anti-inflammatory, thereby reducing the level of inflammation in the mother, reducing any effect the effects of mercury on an unborn child. This News Roundup was compiled and co-authored by Jean Kurnik, M.A..
Folic Acid Supplementation Prevents Serious Neural Tube Birth Defects Each Year Neural tube defects (NTDs) are birth defects of the brain and spine. About 3,000 pregnancies in the U.S. still are affected by NTDs annually, but the number of babies born in the United States with these conditions has declined by 35 percent since 1998, according to new data from the US Centers for Disease Control and Prevention published in in its publication Morbidity and Mortality Weekly Report (MMWR). This decline is attributed to the fortification of grain foods with the B vitamin folic acid, though any women still may not be getting enough folic acid. “All women capable of having a baby should be taking a multivitamin containing folic acid every day,” advises Siobhan M. Dolan, M.D., MPH, coauthor of the first March of Dimes book Healthy Mom, Healthy Baby: The Ultimate Pregnancy Guide. “It’s also good to eat foods that contain folate, the natural form of folic acid, including lentils, green leafy vegetables, black beans, and orange juice, as well as foods fortified with folic acid, such as bread and pasta, and enriched cereals.” Read about the study here. Somewhere Around 8 weeks is When Babies “Get Rhythm”, or Begin to Tell Day From Night A new study published in the January issue of Archives of Disease in Childhood, Fetal & Neonatal Edition, suggests that while it wasn’t clear when newborns establish their own circadian rhythms, infants spent more time sleeping at night than during the day by nine months. The study was conducted in the UK over a period of one year by monitoring 35 healthy, full-term babies from 6 to 18 weeks of age, with a device called an actigraph. Read more here. Parents Often Turn Car Seats to Face Forward Too Soon In March 2011, the American Academy of Pediatrics updated its guidelines for child passenger safety, extending the recommendation for rear-facing car seat use to a minimum of two years of age or until a child has outgrown the weight/height limits of their rear-facing seat. In the first national assessment of the age at which parents report making the transition from rear-facing to forward-facing car seats, researchers at the University of Michigan report “Almost one-quarter of parents are turning their children before their first birthday… and few parents report waiting until that second birthday to make the turn,” says lead author Michelle L. Macy, M.D., M.S., of the University of Michigan’s C.S. Mott Children’s Hospital. “We hope this research further encourages clinicians to spend time with their patients talking about the benefits of extending the use of a rear-facing car seat. It will be the kids that benefit, if their parents get the right information about how to use restraints and when to make transitions,” says Macy. Read more about it here. Giving Toddlers Autonomy May Help Their Brains Develop In this recent study published in the Journal of Child and Family Studies, researchers suggest that there are significant benefits for toddlers when parents keeps their young child’s autonomy in mind and promote it during problem solving. Toddlers granted more autonomy showed better signs of “higher” thinking skills involving delayed gratification, juggling multiple concepts, etc. Read more about it here. This News Roundup was compiled and co-authored by Jean Kurnik, MA.